but also if you love ITALIANBARK style and inspirations. Just take a couple of minutes to read this page and discover how I can design the perfect space for you. I am Elisabetta Rizzato, Italian architect and founder of italianbark.com. Since 2013, I am also offering online interior design services and e-design packages. E-design is an exciting design option, an alternative to the traditional way of hiring a designer that works regardless of your geographic location. 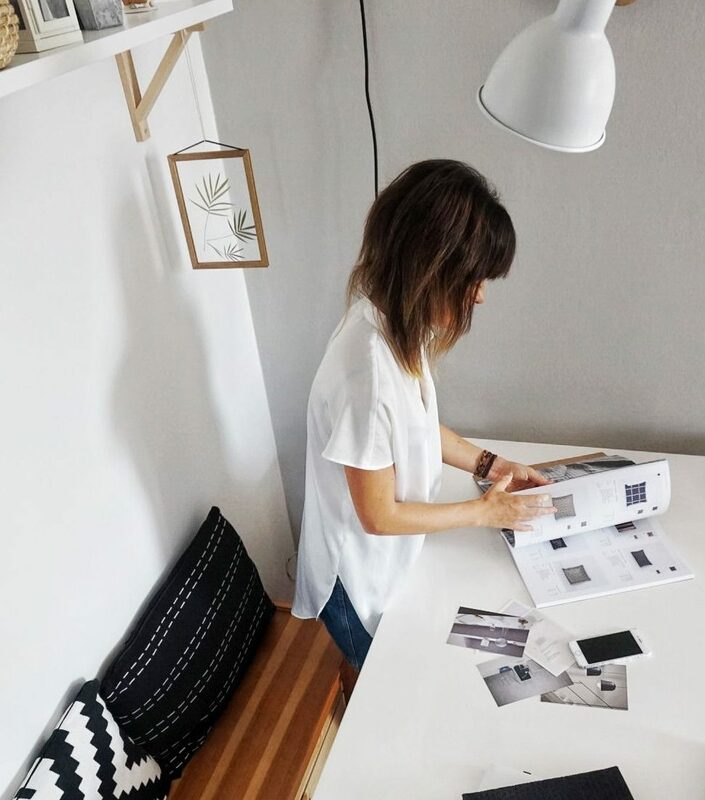 In fact, everything is delivered right to you via email as a masterplan for creating an interior. Online design can work for interior decoration, relooking, refurbishments, but also for commercial interiors and more complex residential projects. So, if you love ITALIANBARK style but you don’t live in Italy, the good news is that I can design your house or interior regardless of your location! Basically, you can stay home, e-mail to me, and I will send you a full package of drawing that will contain all the info you need to create the home of your dreams. Each e-design is original and created to fit your own taste, budget, space, personally designed by me. Through the e-design services, you may also have access to ITALIANBARK discount programs with my favourite brands, helping you to save money! Fill out our short first questionnaire to tell more about what do you need and receive the quote for your specific design project. There is not fixed price, as for experience I know that each project is different from others so it’s impossible for me to offer simple price packages. But, in order to give you a very fast idea, price for one room (ex living room) ranges from 400€ to 500€. Once the quote is approved and signed, we can start working together on your wonderful project. Before starting, I will also ask you for the 50% of the final price, while the further 50% will be paid at the end. Working online is all about mutual trust and I experienced that this is the best payment options for both sides. Fill out the questionnaire or write me at info@er-interiordesign.com to tell me more about your needs. This is the most important step of the process. In fact, by giving me the most complete info about the current situation, your taste and your needs, you will help me to put together the perfect project on a distance. That’s why I will ask you to fill another questionnaire, more detailed than the previous one. Plus, I also will ask you to share with me your Pinterest or Houzz profile, where you can show me some images of interiors you like in a very fast way. 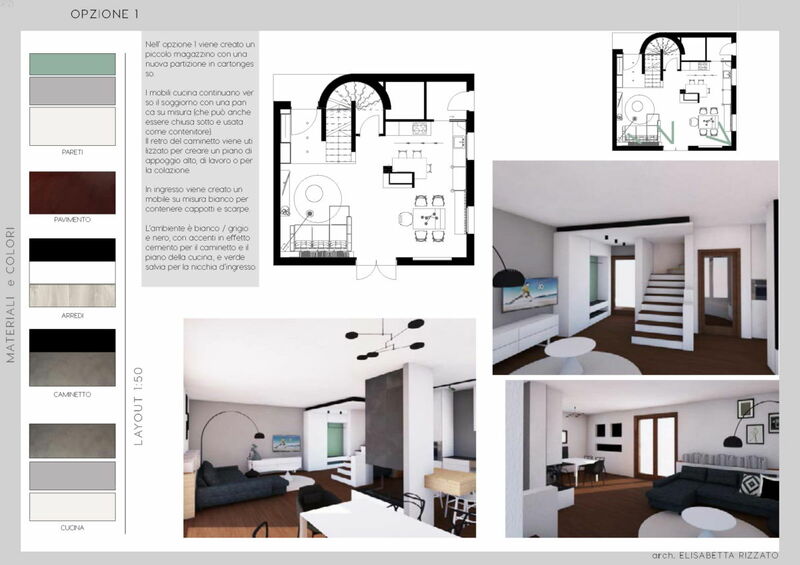 Together with this, I will also ask you for the dimensions of the space, including height, but also any other element that may be useful for the design (ex. existing lightings, facilities, etc). Last thing, I will ask you about your budget to make the project. It’s finally time for me to create! I will send you (approx. 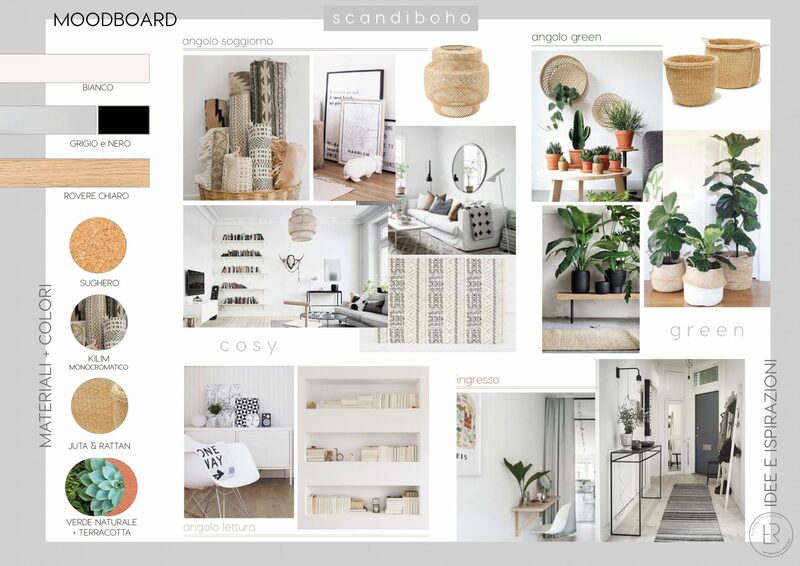 after 5 working days) a moodboard, that’s to say a board which will recap the style of the project, the materials, colors, and any useful image to explain you the concept. Together with this, I will also send you 2 layout options for your space. Then it’s your turn: I will need your feedback on this step, before proceeding to the further one. We can have a chat on skype or via e-mail, according to your preferences! After discussing on your feedback on Step3, it’s now time for me to work on the final project delivery. This will include the final layout, plus a concept board with sketches/details that will help you in visualizing the final result. Together with this, you will receive a list of items that you can easily purchase online: you will save a lot of time and stress, because you will not need to go around showrooms and shops. According to the project complexity, I can also send you some rendered views for interiors, elevations, more detailed drawings: these are additional services I am offering and quoting, in the first step of the e-design process. Enjoy your new space and do not forget to send to me the photos of the final result. I love to keep in touch with my clients…and there is s a good chance for your new interior to be featured on italianbark.com ! Are you based in North-East Italy? Let’s discuss about a traditional on-site design consultation.